Run. Write. Mom. : Heart Rate Training? When I was really trying to lose weight running, after Lorelai was born, I bought a heart rate monitor to more accurately track how many calories I was burning when I exercised. I was doing a calories in/calories out plan and it worked pretty well. After I lost the weight, I stopped wearing the heart rate monitor. 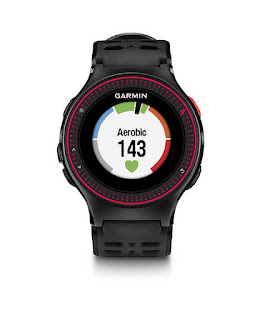 Now, I see a heart rate monitor (I use a Garmin Forerunner 620) more as a training tool to improve my running. It also helps my mental game. Say my brain really wants to take a walk break, I look at my watch and see that my heart rate is pretty low and know I can keep going. Conversely, if my heart rate is high, I will take a break until it's a bit lower. It also helps me know I can push myself more during a race or speed workout (which I loathe). Of course, it also helps me know if I'm going to hard during what is supposed to be an easy run. That's where I get to the tough part. Since I've started training with the heart rate monitor there are often times where I feel like I'm running easy, and my pace is slow, but my heart rate is in Zone 4 or 5! What's up with that? Is my heart just out of shape? As a maximizer, I read a lot about heart rate training and finding your max heart rate. I decided to forego the formulas, as the numbers didn't seem right for me. Instead, I did a physical test. Or at least I tried to. I was supposed to run hard for 2-3 minutes, and jog back to where I started three times. On the third hard effort, I was to go all out and note my highest heart rate, this would be my max. I failed. I could run hard for 2-3 minutes the first time, after that I just couldn't do it for that long. I tried though and noted my highest heart rate at 185bpm. This was actually lower than I had seen in speed work before; I had seen 190. Today, I tried to stay in Zone 3 for a 4 mile run with the double stroller. Wow, that was near impossible. Most of the time it said I was in Zone 3.8, and my average pace was over 14 minutes per mile. Ugh. Am I seriously supposed to train this slow? It is worth noting though, that I have a higher than average resting heart rate. In fact, several years ago, I spend ALL DAY in doctors' offices having tests including an ECG because when they checked my heart rate at a regular check up, it was 145. It stayed in the 140s for hours, just sitting in waiting rooms. Nerves? A panic attack that lasted that long, with no other panic attack symptoms? Never figured that out really. So, thinking about my resting heart rate being high, I realized I'm going about my heart rate zones all wrong. I'm doing my heart rate zones as a percentage of my max heart rate which doesn't account for my high resting heart rate. There is another way to do it, and even with all the reading about heart rate training that I had done, I hadn't seen this. Actually, what made me look it up was seeing the option in my Garmin watch. I need to be basing my zones on a percentage of my heart rate reserve (HRR) and use the Karvonen formula, instead of on a percentage of my max heart rate. As you see, this formula takes the resting heart rate into account. 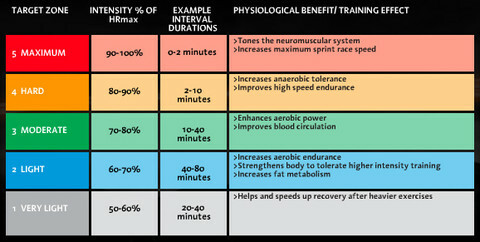 It's also best if you use this formula with actual heart rates, not estimates that came from another formula. So you need to do a physical test, like I tried to do to get your max heart rate. To get your resting heart rate, you can check your hr when you first wake in the morning, before getting out of bed, or after you've been sitting/laying down relaxed (not watching anything exciting) for about 30 minutes or more. I checked mine with an iPhone app. Using the basic % of Max heart rate, with my max being 190, if I want to train in Zone 3 (55-70% of max), this means my heart rate should be between 104 and 133bpm. Now, if I use the % of heart rate reserve, I should be between 120 and 151bpm. The second set of numbers is much more realistic for me. Then we can also get into the whole mess of what percentages to zones should be. Obviously I have more research to do, but for now I set my watch to base my heart rate zones on percent of heart rate reserves, and I'll see how that goes. 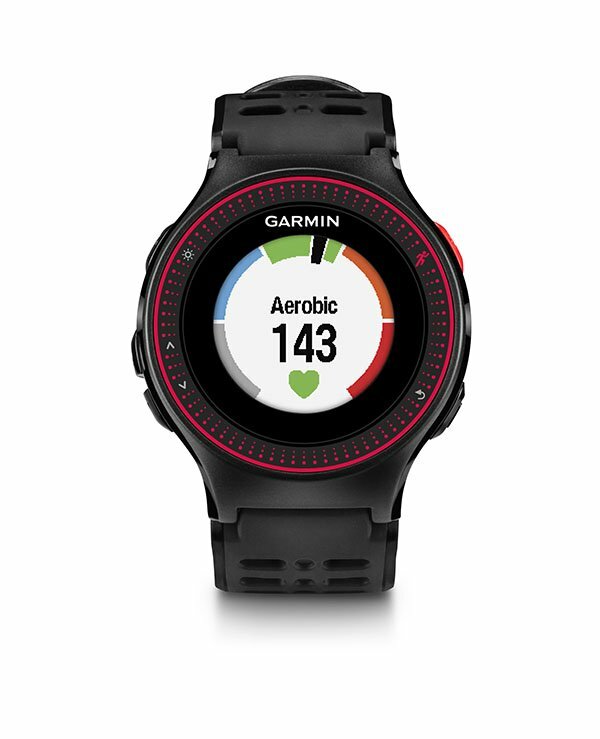 Have you trained with a heart rate monitor? How has that worked out for you? I agree that the formulas don't always work. I have never used the Zone training on my Garmin but I do know that my "happy pace" is around 140 bpm for long runs. I just base my training around that!